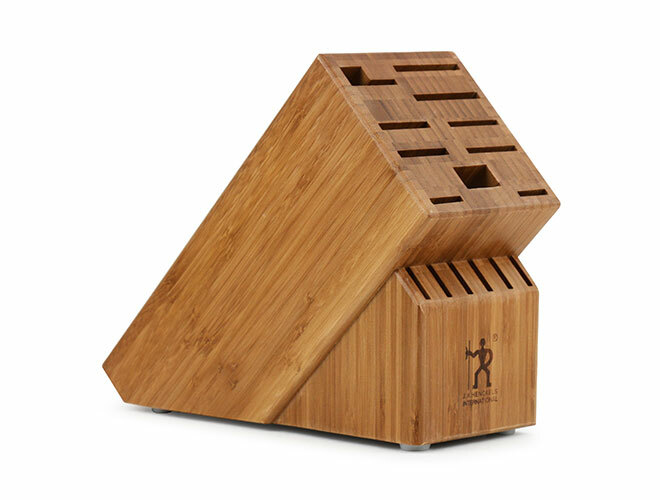 This Henckels International Bamboo Knife Block is designed to preserve your knife collection while still leaving counter space. 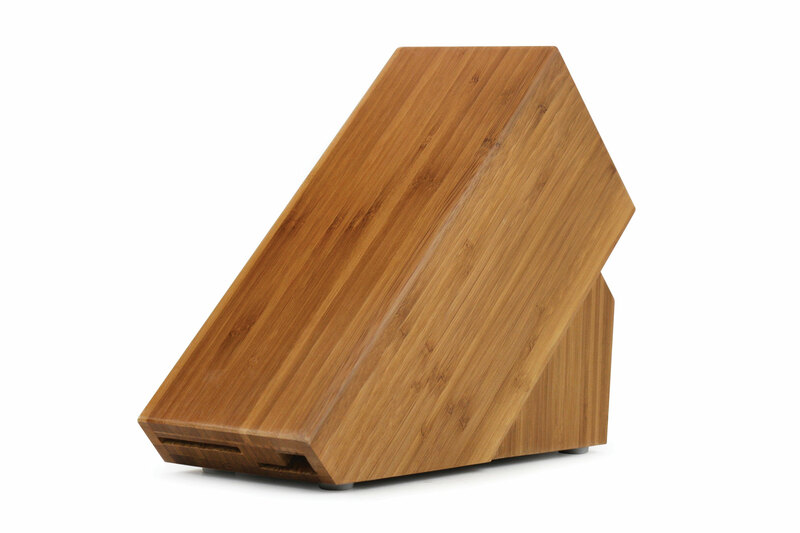 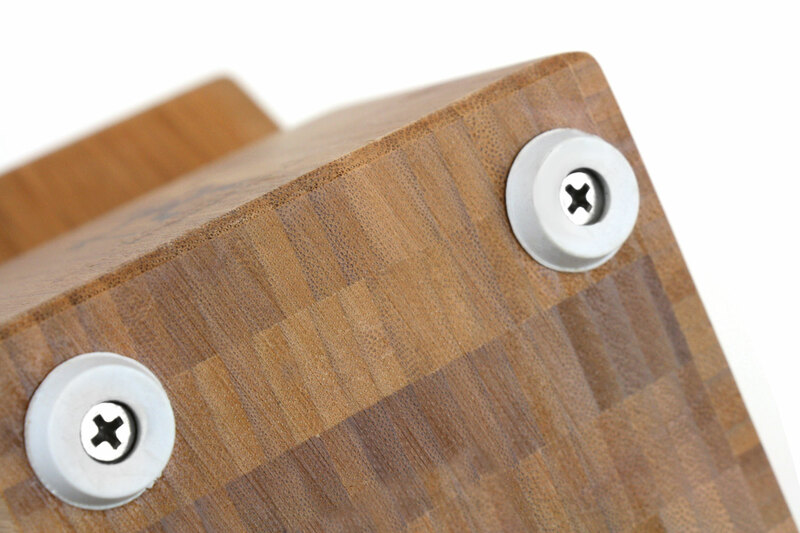 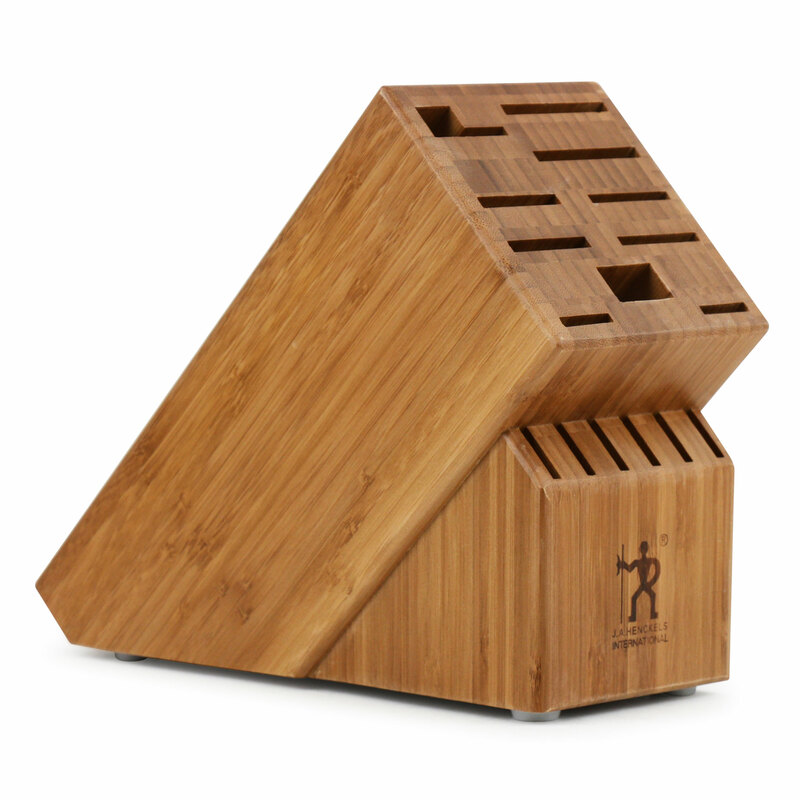 Constructed of beautiful bamboo, this knife block is designed to hold various sizes of knives and can even accommodate a sharpening steel, kitchen shears and steak knives. 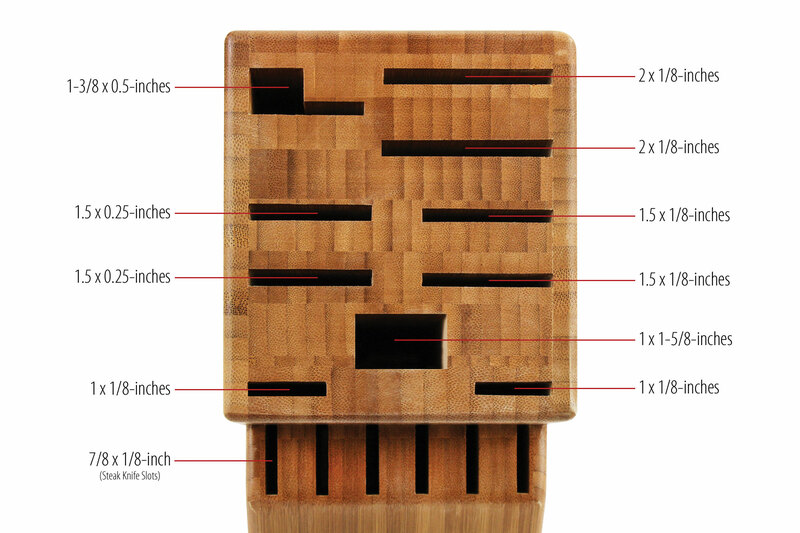 Features rubber feet on the bottom for stability.